Alexandre Ziegler said he was 'deeply moved' by the emotional outpouring of people of India in the wake of the massive fire. 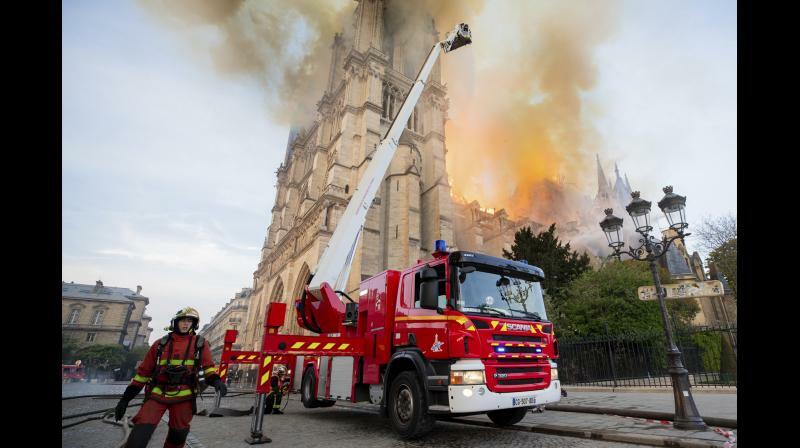 New Delhi: French Ambassador to India Alexandre Ziegler Tuesday said he was "deeply moved" by the emotional outpouring of people of India in the wake of the massive fire at the historic Notre Dame Cathedral in Paris. The over 800-year-old cathedral, a World Heritage Site, is considered one of the most iconic landmarks globally and is visited by a large number of people from several countries. "Deeply moved by the outpouring of messages sent from all over India after the fire at #NotreDame de Paris. It's also in such times that one can gauge the value of friendship. Thank you India!" Ambassador Ziegler tweeted. Soon after the news spread about the devastating blaze at the cathedral, several Indians took to social media to express grief. Many recalled the time they had visited there and others shared pictures from their visit. "No overreading from the incident. We, the people of republic of India, are with you. I know your emotions on this iconic symbol. Rebuild the material structure, because you are known for building equality," wrote a user, Ganesan Ambedkar on Twitter. Others also expressed grief and hoped for its reconstruction.